A101 is decorated with the colors of the Pacific Ocean. Great location on the north end of the property for a quiet, cozy vacation. All the amenities of home. King bed with a sofa sleeper in the living area. 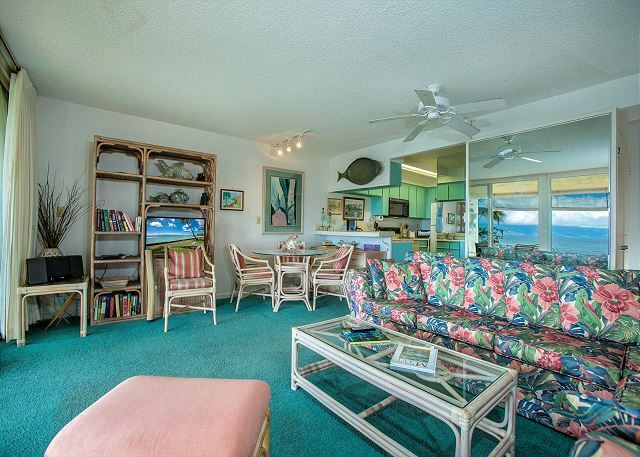 Large lanai (porch) for lazing your days away with the lull of the ocean, just 27 feet away. Come and see why so many people return to A101 time and time again! If our unit is booked on your preferred dates, please visit www.lokelanicondos.com and book one of our sister properties. 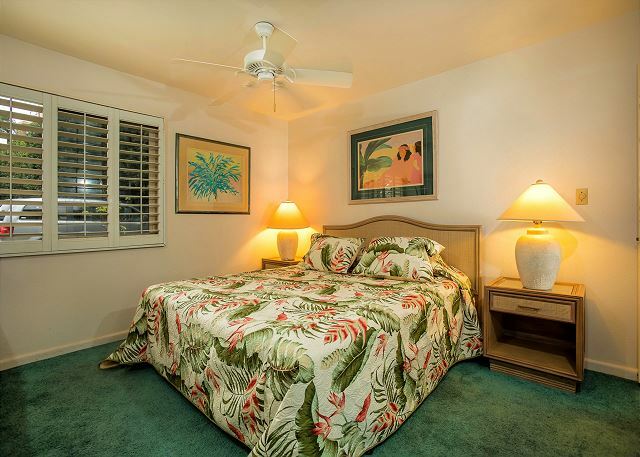 You will love it at Lokelani! No A/C available in this unit. We loved the location of this property. Oceanfront can't be beat. We saw whales, turtles, and gorgeous sunsets. The condos are quiet. The front office staff is great. Check in is easy. A-101 has a very good location within the condos. Lower corner unit, close to a bbq. The condo itself is showing its age and needs some love. A few improvements would be great but overall, I'd stay here again. Mahalo for staying with us. The condo was well appointed with almost everything you need. My wife and I were there in early March and spent a good deal of time just sitting on the lanai and watching whales breach as they passed through the channel between Maui and Molokai. 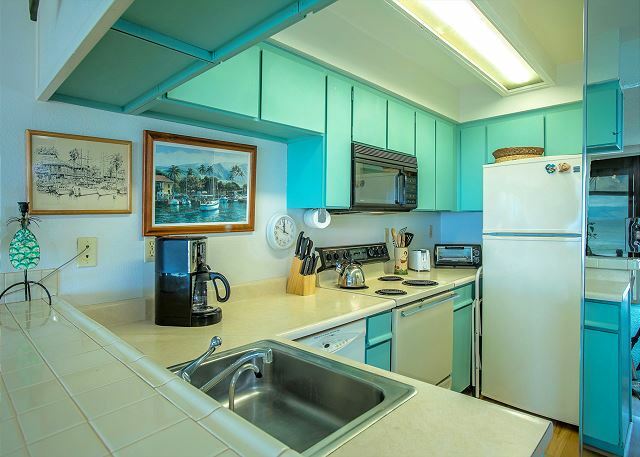 The condo is set up to prepare meals there or it’s a short drive to Lahaina where there are many restaurants to choose from. I would recommend this condo. 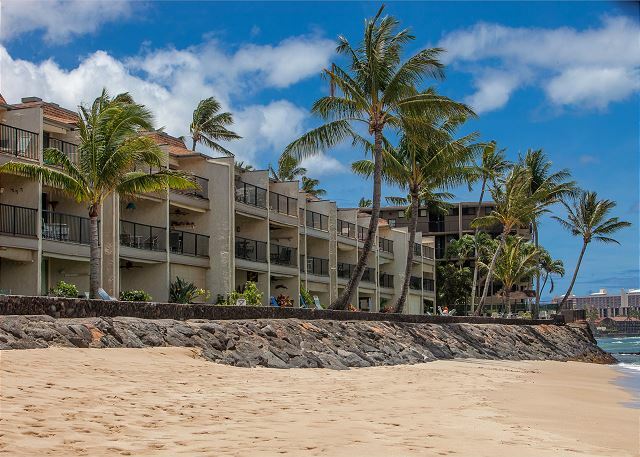 Lokelani is a very nice condo complex on the ocean with all the amenities and it is close to restaurants, grocery stores, etc. The rental manager is excellent in terms of every day customer service, as well as providing information etc. Aloha and thank you for staying with us. The unit was clean and had everything we needed. We loved being in the corner and not having neighbors on both sides. And waking up to the beautiful view was amazing every day. I stayed here when I was 12 the first time I came to Maui. Brought my husband and kids this time around and we all loved it!! Thank your for staying with us. We look forward to your return. 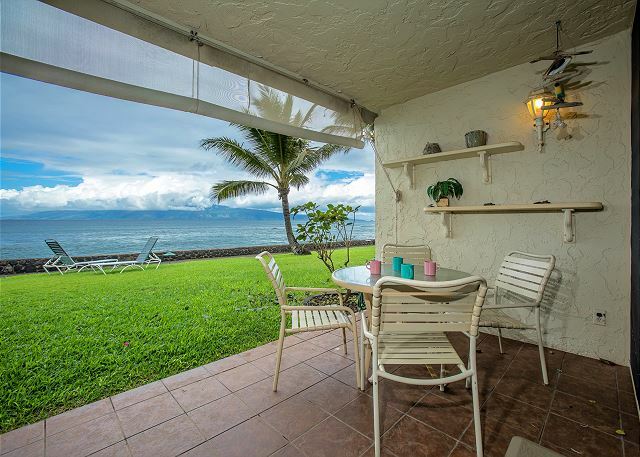 We loved the location and the fact that every morning we could watch whales from our lanai. The condo is a bit dated but we didn't mind considering the convenience and did I mention, the VIEW??? Thank you for staying with us. We hope to see you again in the future. The best view on the entire beach! It was wonderful and perfect. We were in Maui for my boyfriends wedding and hosted a BBQ on the lawn with the sunset in the background and whales jumping. It was magnificent. The condo is simple but clean and nice. BUT THE VIEW>>>>>>>>WOW! it was everything we were promised. Liz, the property manager was so nice and helpful. We will be back again and again. If your looking for a quit and peaceful place to call home for a week or month this is the place. If your looking for a snobby big hotel with bad service and no view pass this location by! Whales, Turtles and the View, Oh My! 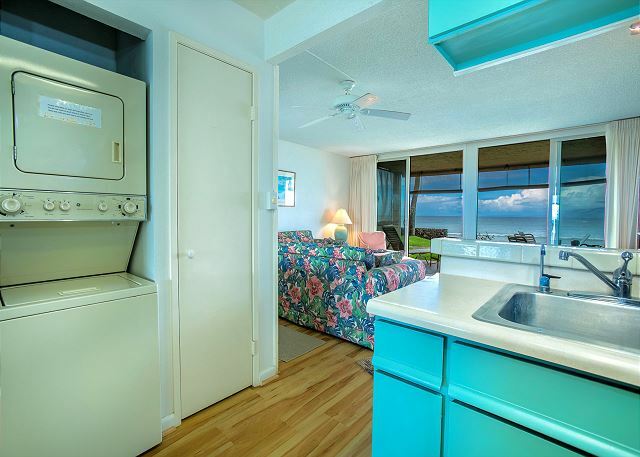 We had an amazing stay at Lokelani Condos, A101. The view is stunning! The moment we walked into the condo, we were blown away be the view and then we noticed whales playing and jumping just offshore. The sea turtles also love to swim and eat off the rocks along the wall right in front of the condo and they like to sun themselves on the beach in the afternoon. The beach is nice and the snorkeling in front of the condo is pretty good. Napili Bay which is just a few miles up the road also has some great snorkeling. 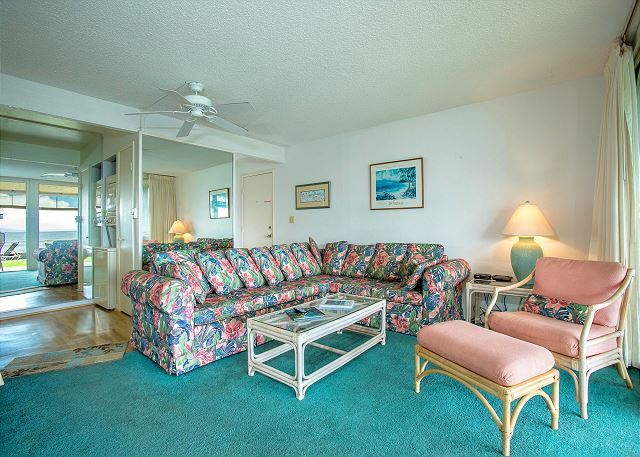 We can't wait to return to Lokelani Condos! The view is absolutely to die for. The sandy beach that is just steps away is gorgeous, and the condo it's self was very comfortable. There is no air conditioning so it gets warm in the afternoon, but with the fans it's not too bad. Wonderful view, location good, close to everything. Mattress should be replaced. Thank you for staying with us. I will let the owner know your thoughts on replacing the bed. Our stay a lokelani condominiums was amazing. The view is absolutely beautiful and I loved that the condo had a private beach so it wasn't too crowded. It's one of the nicest beaches on the island too I thought! We stayed in a one bedroom apartment with 4 adults and there was definitely ample room for us all. Only concern was the glass sliding doors don't lock so there were wooden sticks used to keep the doors 'locked'. Thank you for staying with us. The wooden dowels are there so that you can leave your sliders open at night for a cool breeze. The slider handles were replaced so they do lock now. Thank you for bringing that to my attention. Tracy T from Beaverton, OR does not recommend this vacation rental. Good price for ocean front, but it was rainy and cold and the shower never got hot- and then when it was hot outside there was no AC. There was a puddle by the front door in the condo every morning from the sprinklers. 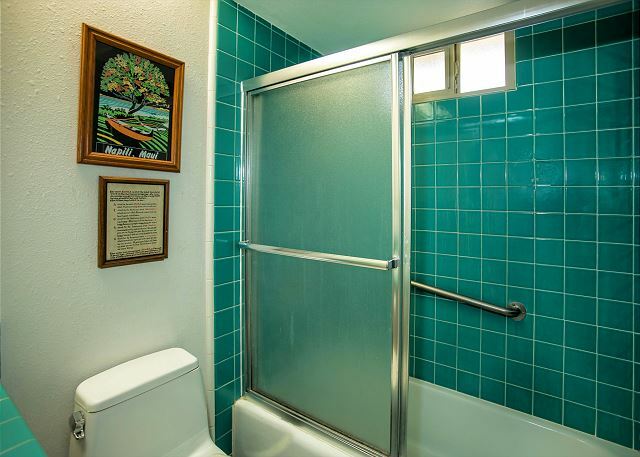 Condo (bathroom especially) was very dated. We aren't going to stay here again. Aloha Tracy, Thank you for your comments. A-101 is a bit dated and the price reflects that. We do have several other condos that do offer more upgrades and A/C at an additional price. We hope you will give Lokelani another chance. The location of this condo and the view are wonderful! My husband surfed right in front and we saw a turtle there as well. The manager was absolutely wonderful. Always so friendly and helpful and accommodating with our travel schedules...even when she didn't have to be. She really just wanted to be helpful and allow us to make the most out of our time there. The condo itself was just so-so. 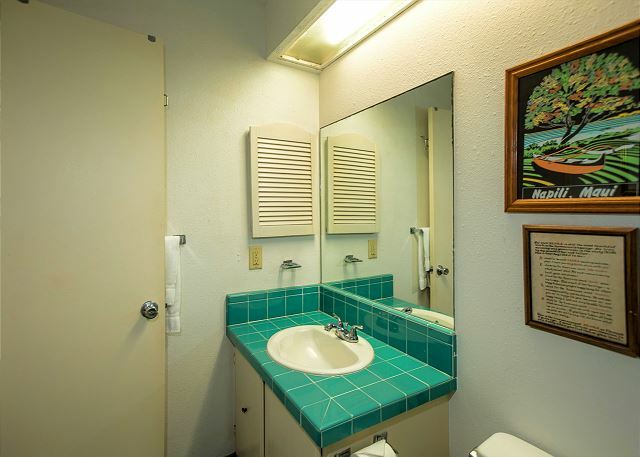 I don't really care if the kitchen is updated or the bathroom is fancy, so it didn't really both me. But it is old and a bit run down. Couch was comfy. Bed was super hard and pretty uncomfortable. We ended up sleeping on the couch. 20 years ago, wouldn't have bothered us probably, but now in our 40's, we aren't so flexible! Even a mattress topper could be helpful! All in all, it was a good choice. Just be sure you like a firm mattress! Good location on the water. End unit, sea turtles right out front! 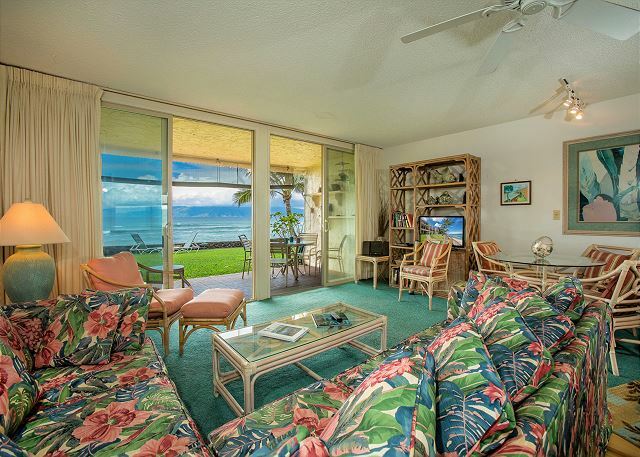 nice lanai. Couldn't have been better. Arrangements were efficient and easy. The condo was clean and we had a lovely welcome basket along with anything anyone would need. And an amazing view!! We liked the unit and found it very comfortable. A101 gets very little foot traffic in front and feels very private. The unit has plenty of fans and natural air flow, but it can feel warm when the trade winds are hot and muggy, and my only suggestion is that the unit have bedroom A/C installed so us old folks can deal with July/August heat a little better. But A101 is a fine place to stay, and I'm getting ready to reserve another stay at Lokelani for the coming autumn. Reserve early, folks! But security was not perfect. If security is perfect I will love to stay Lokelani next time too. Nice view and nice turtles ! Every things was so nice. I enjoyed perfect sunset view everyday,and cute turtles came to see us many times .The staff member was so kind and friendly.Unfortunately smell of the sterilization in the bathroom was hard and safety was not perfect. It was so beautiful and relaxing!!! Loved waking up to the view and even a couple rainbows. It was so amazing having the sea turtles so close. Walking out the back door and having the beach right there. Looking forward to staying here again. Walking distance to a farmers market and some restaurants was also a plus. It was super amazing trip!!! We had the best experience at the Lokelani! It was quiet, clean, well maintained, and absolutely beautiful.The view from the lanai is spectacular. We seemed to have the whole ocean and island view to ourselves. We saw turtles almost every day. The people were all very friendly and welcoming. The location is great...near grocery store, ABC store, shopping, places to eat, and gas. My husband caught and released a fish right off our sea wall. This is a very well stocked place...cooler, cooking needs, lots of towels, even sun hats, books. It met and exceeded all our needs. The only complaint..the bed and pillows were not as comfortable as we hoped. I have recommended this place to my sister and friends and can't wait to return. 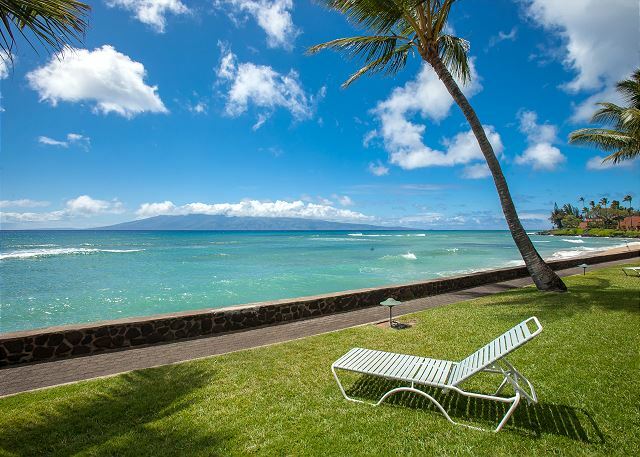 A relaxing week on a mellow side of Maui with our own tiny beach and a perfect lanai from which to enjoy the ocean and marine life. Be prepared: no air conditioning in 85+ temps meant we needed fans to stay cool, and the bedroom fan only works on low. Otherwise, a very nice place to stay. Lokelani is a perfect place to stay. All units are ocean front. Ground level units are one bedroom and first floor level are 2 bedrooms unit. The location is perfect. You have your own private beach. A swiming one. The other guest are very nice. Even there are places to eat whithin walking distance. Our unit A101 was perfect. Clean, with the best sea views and got all we need, 2 lcds screens, iron, whashing machine, dyer, kitchen stuff and furniture, coffee maker and even Spanish olive oil. The worst part was that we spent there 5 days and it happens really fast. I wished we´d stayed there at least one week. The unit and view was as advertised. You can't get closer to the water unless you are in it. Beautiful view! The unit was clean and well stocked. The staff was very helpful and courteous. I would book at this complex again. Lokelani A101 is exactly as described. We knew it was one of the non-updated units, but chose it for its location at the far end of the project away from the pool. The setting is gorgeous and the unit is serviceable in its current condition, but is truly due for updating as well as painting. The onsite management was helpful and responsive and the project in general feels private and is quite considering it is located in a very long stretch of vacation rentals. My wife and I were there in 2010 and we returned in 2015 for our 25th anniversary ....A101 was an awesome rental...loved being on the end unit...very clean and the office staff was very accommodating ....we plan on returning in a couple years and we have recommended this condominium to many people...thanks for a great stay! We enjoyed our stay in Maui and especially the location and amenities at Lokelani. Loved to see and hear the ocean all day long, beach access, pool, sidewalks to walk safely to different destinations, & clean and well maintained property. The management was very accommodating and made us feel right at home and appreciated the welcome basket. We enjoyed the Road to Hana tour, Flyin Hawaiian zipline, Haleakala Bike Company Sunrise Tour, Annabelle and Warren Magic Show and Old Lahaina Luau. Enjoyed restaurants also: Hula Grill, Beach Bums, Dukes and Charley's. Loved to walk around Lahaina historic shopping district and experience the sunsets. Memorable trip to Maui for us. The furniture of this unit is old but the location is perfect. Everything you need is included (towel, detergent etc...). The staff are amazing. Very close to the beach and snorkeling is very good. Loved our stay at Lokelani, can't wait to come back. Would definitely recommend to anyone. A101 was fantastic and we got to see whales on our first morning! Kim and Liz were so friendly and helpful for our last minute booking. Don't wait 35 years to come back, like we did. Perfect location tucked away in a lush, quiet neighborhood. Its just far enough away from the resorts and tourist areas, but close enough to make a visit. I was looking for a relaxing getaway with the comforts of being at home and the sounds and smells of the ocean. The furnishings are simple and comfortable. I had everything I needed. There's a couple cute markets and coffee shop in walking distance that I enjoyed. Can't wait to go back!! Another wonderful stay in paradise! Aloha! As usual, a wonderful stay listening to the ocean all day and night. This was our third time at Lokelani in the past 4-5 years, each time a different unit, once in a VRBO and twice from the rental pool. This gem is a hidden secret and so happy we found it. Please realize you are not in Lahaina as the postal address displays, you are in Honokowai. 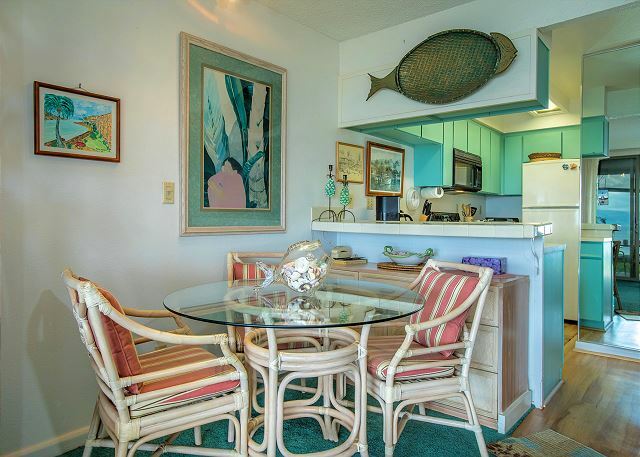 It is a mix of vacation condos/rentals and locals homes/residents. It's a short half-mile or so walk to Farmers Market Maui and then another to Times Market. 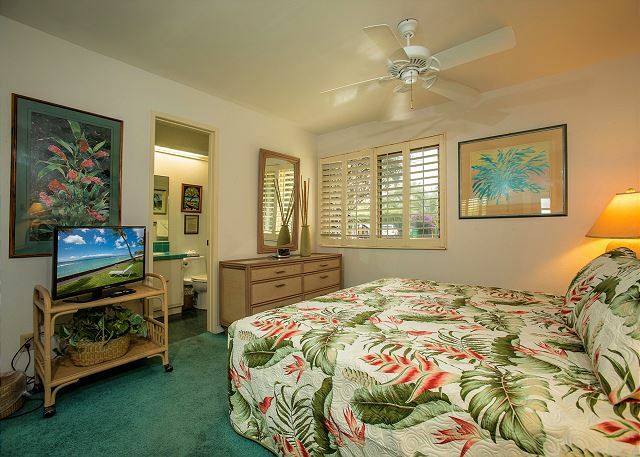 It's a relative short drive to Kaanapali and then to Lahaina town or Kahana and then to Kapalua. There is county transit service on the Lower Road also. There are plenty of turtles and fish to see from the seawall. The beach is never crowded and the water is safe to swim, snorkel, paddle, etc. Plenty of paddle board, kayak, canoe, catamaran, fishing, activity to watch all day. We go to Lokelani to 'getaway' and relax. It's quiet and private. We go out to Dollies in Kahana or Kimo's in Lahaina, but return to the solitude of Lokelani. We enjoyed Halloween in Lahaina this year. The kitchens are fully equipt and the stacked washer-dryer come in handy. We cooked fish on the outdoor gas grill, which is off to the left of the lanai. The ice maker kept up with demand. The unit was ready when we arrived and in spotless condition. The grounds are very nice and staff excellent too. The only thing this unit really needs is some updating. Furniture is not really very comfortable and everything is pretty dated. Kitchen, while functional, needs remodeling. As we understand it from the manager, the owners don't want to spend any money on remodeling. The grounds and view are absolutely beautiful. We would stay there again in a heartbeat! We were referred to Lokelani Condos from a relative that loved it. We have stayed there twice now and plan to go back. The place is very well kept up inside and out. The location is perfect since a lot of our activities we planned were not to far away. It's close to front street for shopping and restaurants, malls, groceries, and activities such as activities that leave the Lahaina Harbor. Its beautiful and right on the beach. We have recommended this place to other relatives and we can't wait to go back.